Invitation Sleeves are sized perfectly to hold your 5x7 wedding invitation card, enclosure cards and RSVP envelope in a neat and secure way. 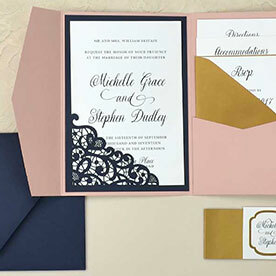 Select a simple pocket invitation sleeve style or an elegant laser cut invitation sleeve from our collection of unique designs. Each Pocket Sleeve and Laser Cut Sleeve is hand-made using premium card stock paper (100lb weight or greater) and can be ordered with a matching A7.5 outer envelope. 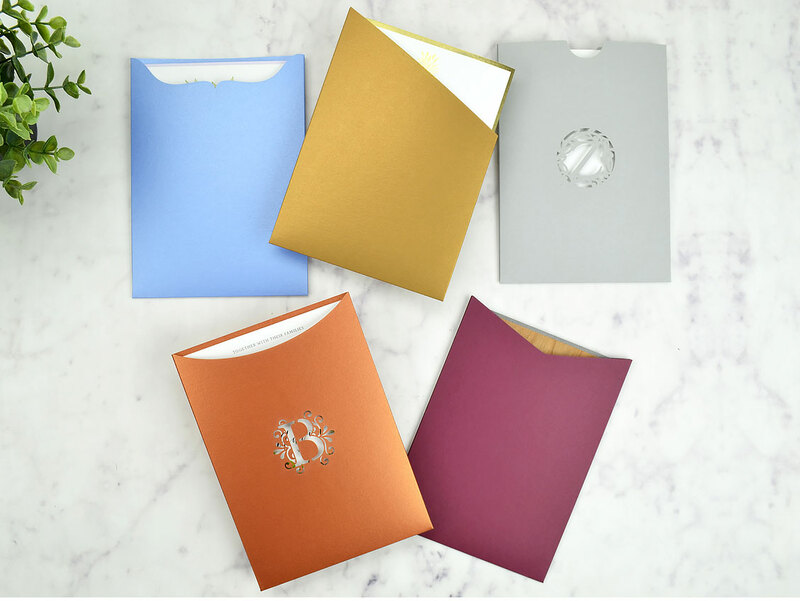 Pocket Sleeves and Laser Cut Sleeves are available in over 70 colors and specialty finishes ensuring you will find a perfectly matched Invitation Sleeve for your wedding or special event. Pocket Sleeves are available with different styles of cut openings from a simple semi-circle (Notch design) to a fancy bracket (Victorian design). Each Pocket Sleeve is available with a matching A7.5 outer envelope. Get creative by choosing a sleeve and color combination that matches your unique event. Double-cut designs are cut on both the front and back resulting in an open top, elegantly revealing the top inch or so of your invitation on both sides. 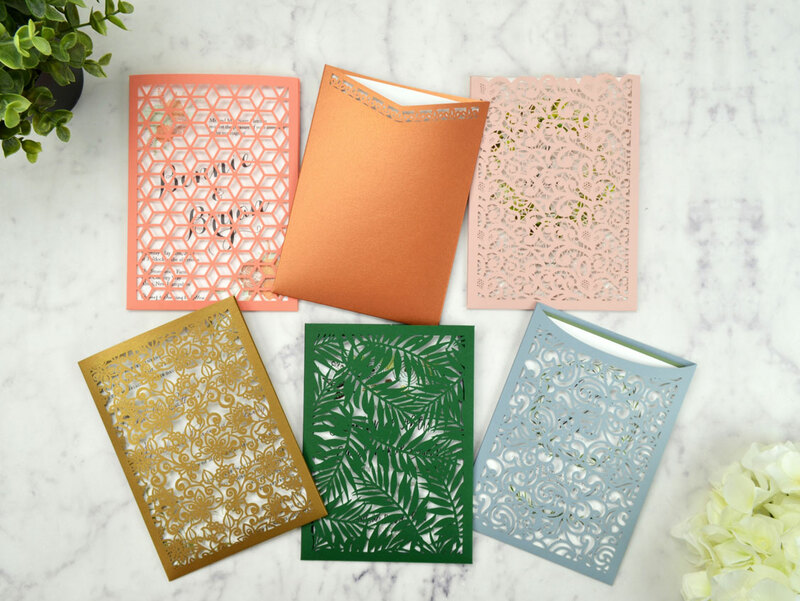 Laser Cut Invitation Sleeves have an intricately laser-cut front which will look beautiful with the contrast of your printed invitation and enclosures inside. 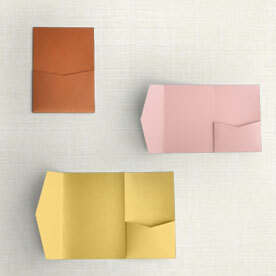 Each laser cut sleeve is available with a matching A7.5 outer envelope. Choose a style and find your exact color to create the perfect custom laser-cut invitation.